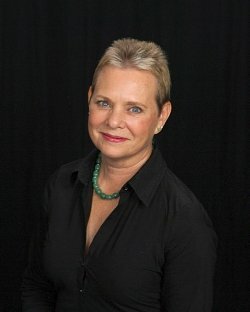 Janet, a graduate of Mueller College of Holistic Health Therapies, owns and operates Center for Bodywork Therapies in San Diego, California. Working with the body’s built-in mechanisms and innate wisdom to protect and heal itself she encourages the body to let go of long-held (or newly built) patterns of stress thus relieving pain. Janet specializes in Proprioceptor Neuromuscular facilitation and other physical therapy release and restructuring techniques as well as Energy work through Chinese and Ayurvedic medicine applications, Reiki and QiGong healing. Additionally, she offers Craniosacral therapy, Myofascial release, Aromatherapy and Hot Stone massage. and Facial rejuvenation. Janet is Nationally and a California State certified bodywork therapist as well as a Certified Yoga instructor and Certified Reiki Master Teacher. A Professional member of the AMTA, Janet is a member of the San Diego Sports Massage Team and a former therapist for the National Football League’s San Diego Chargers. Our mission is to provide superior, professional massage & skincare services to men and women at reasonable prices in a serene, inviting spa setting.